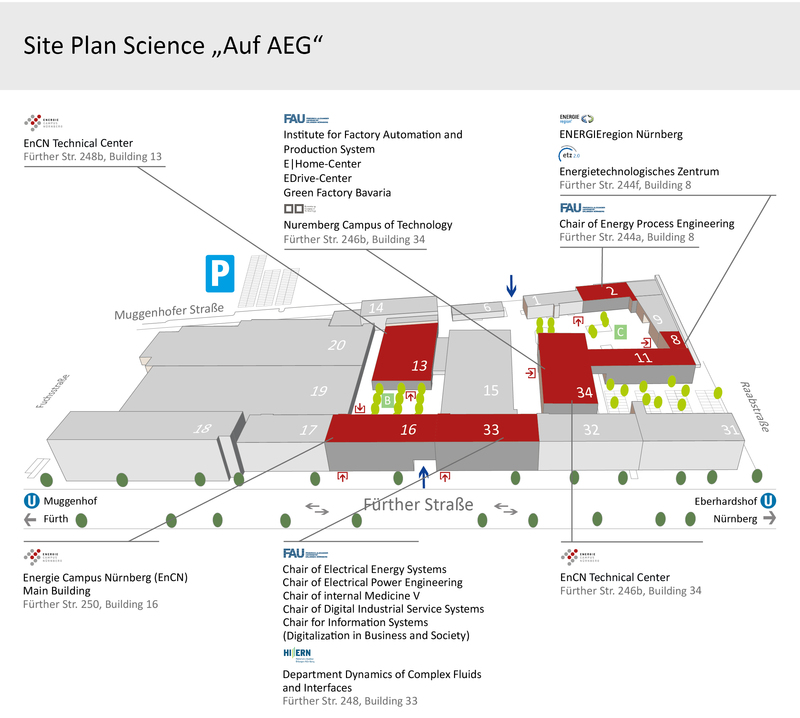 The former site "Auf AEG" has a long history. In its blossom it was regarded as an important location for production and innovation. Through the extensive and high-quality renovation in the years 2007 - 2014, the site was converted into a contemporary facility. Today it is the focus of energy research in the metropolitan region and a location for business, art and culture. the Nuremberg University of Applied Sciences, the Nuremberg Campus of Technology and the Helmholtz Institute for Renewable Energies.